Log in to your mail server Admin portal. Then, navigate to Admin centers > Exchange. Select mail flow and click on the + sign located in the top-left. 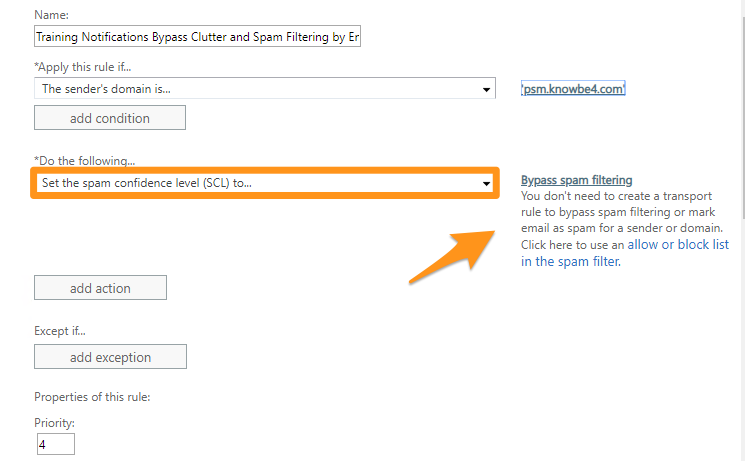 Select Bypass Spam Filtering... from the drop-down. This will open the new rule screen. 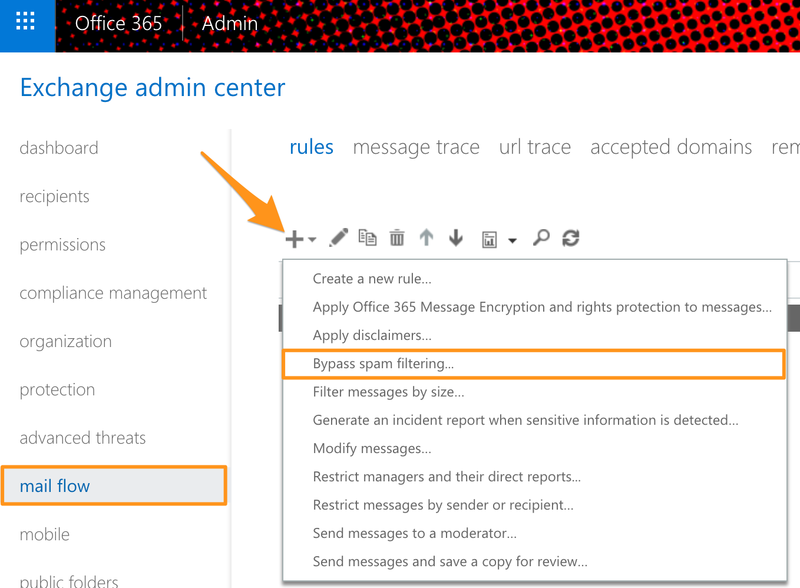 Give the rule a name, such as Training Notifications Bypass Clutter and Spam Filtering by Email Header. 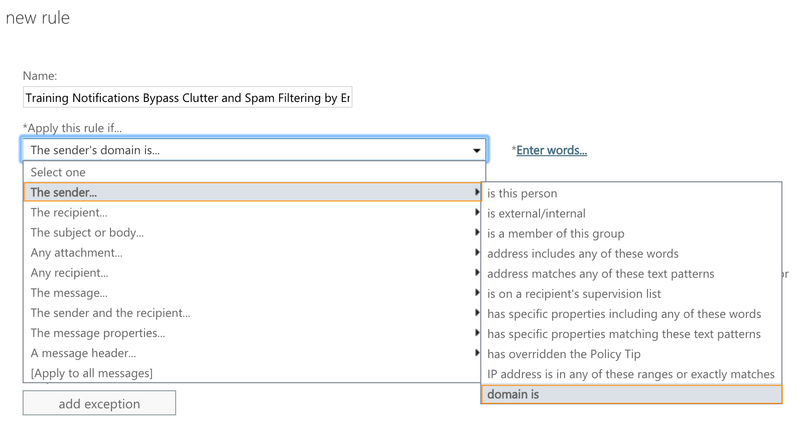 Select Apply this rule if… and then choose The sender... > domain is from the drop-down. This will open the specify domain screen. 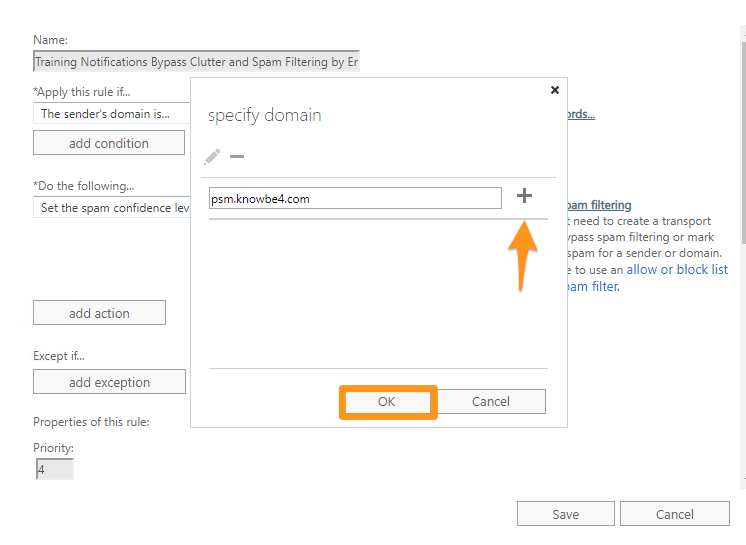 Type in the domain pstemail.knowbe4.com on the specify domain screen and click the + sign. Then, click the OK button. Verify the Do the following… field is set to Set the spam confidence level (SCL) to… and Bypass spam filtering is set on the right. Scroll down the screen to the Match sender address in message option. Here, select Envelope from the drop-down.